When traveling to the Caribbean, there are over 35 destinations to choose from. The lovely and unique islands of the Caribbean offer plenty of variety in terms of attractions, cost, accessibility, culture, history and of course everything ranging from the feel of the big city, to that secluded island hideaway. A broad selection of accommodations are also available with over 15,000 hotel rooms spread across the islands. You can find local bed and breakfast inns, all-inclusive luxury resorts and on the larger islands, major and familiar U.S. hotel chains. Of all the Caribbean isles, the islands of the Bahamas are among the most frequented by travelers. When Cuba was closed to US tourists in the 1950s, the Bahamas forged ahead to become one of the world's most popular tourist destinations. The Bahamas encompass about 700 coral-based islands and 2,000 cays (pronounced "keys"). These islands and cays attract tourists for a variety of reasons, including beaches, diving, snorkeling, fishing, golf, and shopping. The Bahamas lie only 50 miles off Florida's coast, making them a popular destination for many Americans. 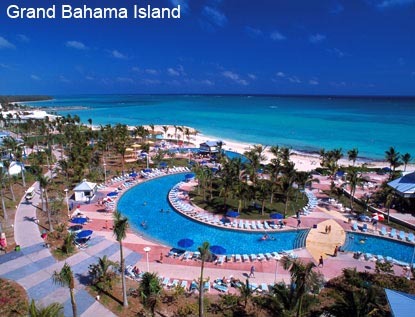 The islands' two major cities are Nassau, on New Providence Island, and Freeport, on Grand Bahama Island. Some travelers enjoy cruising to the Caribbean islands, but many fly in accessing either the Freeport International Airport or the government run Nassau International Airport. It's important to note that as of June, 2009, the U.S. government implemented the full requirements of the land and sea phase of WHTI. These rules require most U.S. citizens entering or departing the Caribbean Islands by sea or air to have a passport, passport card or WHTI-compliant document. Many business travelers elect to have the Bahamas host their meetings and conferences. Whether they choose the bustling islands or a more remote location, these business minded guests find it easy to go from beach to business attire and enjoy some of the Caribbean’s finest state-of-the-art meeting facilities. The Atlantis Resort and Casino on Paradise Island offers the capacity to accommodate the largest, most complex events, conferences and tradeshows. It boasts approximately 100,000 sq. ft. of new conference facilities and a total of over 500,000 sq. ft. of indoor and outdoor meeting space, creating the largest conference space in the Caribbean. For travelers who desire to stay at The Atlantis Resort and Casino, they will have the option of residing in one of the resorts fine towers themed after the surrounding water-parks and marine-life; the resort features over 2,000 guest rooms. Nestled between Venezuela and Surinam on the northeast coastline of South America, Guyana, a country of exceptional natural beauty, stretches 450 miles from its long Atlantic coastline into dense equatorial forest. Mankind has made little impact here, and today Guyana remains one of the world's most exciting destinations for adventuresome travel and exploration. Venturing out for the interior by boat, aircraft or 4x4, you encounter the extraordinary natural heritage of Guyana. Jaguars still roam the rain forest, and the unearthly cries of howler monkeys echo through the trees. The picturesque capital and primary port of Guyana, Georgetown reflects much of the city's exceptional cultural history and diversity. Throughout the city are colorful East Indian markets, indicative of the country's largely East Indian population. 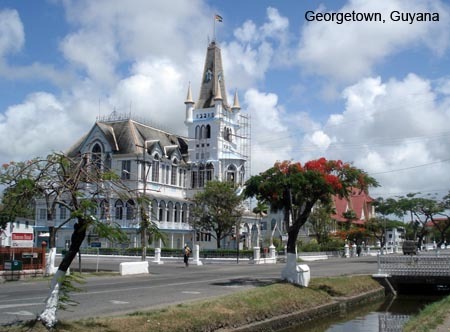 Although Guyana is a nature lover's paradise, Georgetown is a city of comfortable, modern hotels and fine colonial buildings. The Hotel Tower in the city’s capital has 57 rooms, and along with providing wonderful accommodations, features three well-equipped venues for special events with the capacity to seat up to 200. The Cheddi Jagan International Airport is the national airport of Guyana located in the city of Timehri, 25 miles south of Georgetown. Mention Costa Rica and people think paradise. Recently named "World’s Environmental Jewel,” the waves are prime, the beauty staggering and the sluggish pace seductive. Costa Rica is a democratic and peaceful country, and hasn't had an army since 1949. A peaceful oasis, this tiny nation just south of Nicaragua draws 1.5 million visitors every year and is ranked as one of the most visited international destinations. 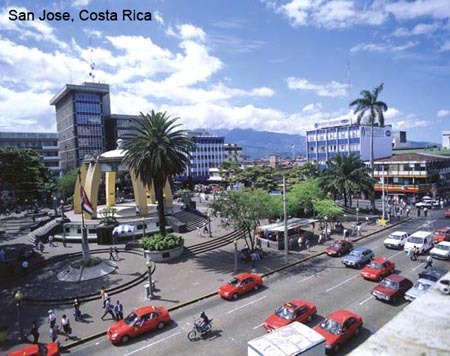 Visit the Cultural Square in downtown San Jose to experience the National Theater, Pre-Columbian Gold Museum and the only hotel in Costa Rica declared a Historical Architectural landmark by the Costa Rican Government – The Gran Hotel Costa Rica. With its 96 guest rooms and eight suites it is just steps away from shops, theatres, restaurants and many entertainment landmarks. International flights arrive at Aeropuerto Internacional Juan Santamaría, northwest of San José. Cuba, the biggest island in the Caribbean, is located at the entrance to the Gulf of México. 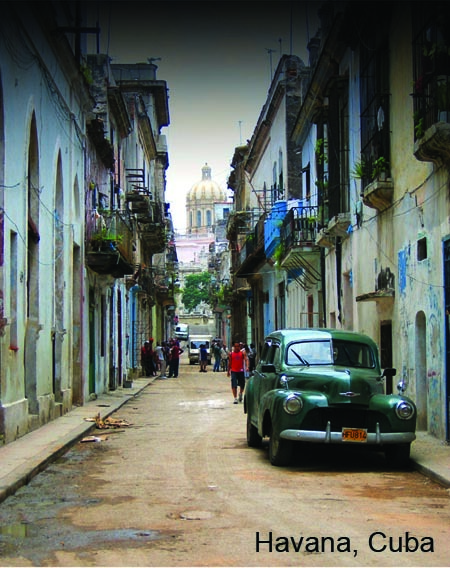 Cuban culture is the result of a combination of Spanish and African traditions. Cuba is just 110 miles from Florida and its colorful capital city, Havana, with its pulsating nightlife, proud culture and beautiful architecture, is the heart of the country. It was after the fall of the Soviet Union that Cuba began to market itself more as a travel destination. Today, Cuba hosts more than 500 events a year spanning scientific, technological, cultural, sports, educational and economic fields. Cuba’s Caribbean warmth and stimulating sites are major drawing cards for meetings and events, however, these are also well supported by local meeting planners and a solid infrastructure of hotels, tourism facilities and transportation. The Plaza América Conference Center has 22,000 sq. ft. of meeting space and is surrounded by the famous Cuban beach of Varadero. Plaza América is in an area of first class hotels, just a few meters from the beach and an 18-hole golf course and only 25 minutes from Varadero International Airport. The Meliá Las Americas, a 5-star deluxe resort located near the Plaza América has 340 rooms and for golf lovers, offers golf packages including golf shops, lessons, golf games and initiation courses. Known as the "Unspoiled Queen", Saba has a fairytale like quality; the sense of being in a place that time has graciously left unchanged. With no franchised resorts, casinos, or shopping malls, it’s a very different face of the Caribbean. The island is an extinct volcano with unmatched blue water diving and excellent hiking. Recommended locations for a great dive are Third Encounter or Outer Limits, part of the Saba Marine Park established in 1987 to preserve their unique underwater environment. Among Saba’s more impressive hiking trails is "The Ladder", 800 hand-hewn stone stairs taking you from the ocean at Ladder Bay to the town named "The Bottom" – a climb of 800 ft.
Each village on Saba has several small and individually unique restaurants offering a wide variety to choose from – American, European, Chinese, Italian, and the delicious blend of Indonesian and West Indian Creole. The Gate House Cafe in Hell's Gate is a favorite French style eatery and is said to be one of the best restaurants in the world for wine lovers. From spicy shrimp to foie gras, Creole fish to curry lobster, everything is prepared to order. The Cafe also has a hotel that features five double rooms tastefully furnished in bright Caribbean style, each with beautiful ocean views. If flying onto the island, be prepared to board a small plane. Though landing at Saba's Juancho E. Yrausquin Airport is safe, it is no doubt a memorable experience as it is said to have the shortest commercial runway in the world.